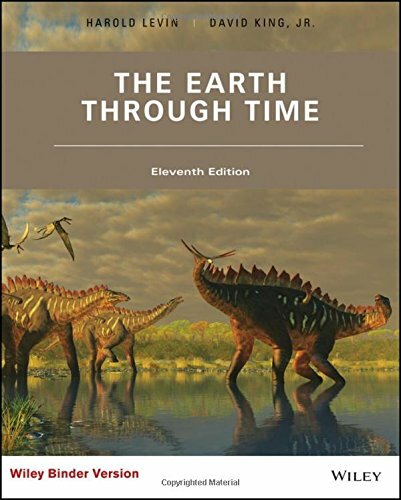 1119228344 –The Earth Through Time, 11th Edition, by Harold L. Levin and David T. King chronicles the Earth’s story from the time the Sun began to radiate its light, to the beginning of civilization. The goal of The Earth Through Time is to present the history of the Earth, and the science behind that hsitory, as simply and clearly as possible. The authors strived to make the narrative more engaging, to convey the unique perspective and value of historical geology, and to improve the presentation so as to stimulate interest and enhance the reader’s ability to retain essential concepts, long after the final exam.